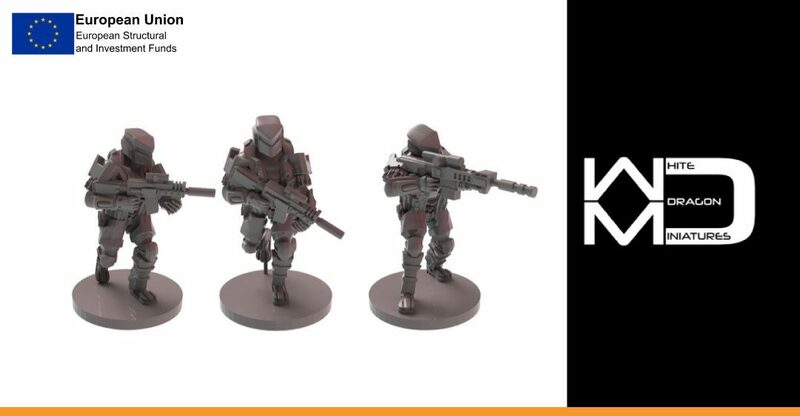 We spoke to Alan Crookes from White Dragon Miniatures about his company’s successful application for an NBV Grant for Enterprise. White Dragon Miniatures produce highly detailed resin miniatures for both 15mm gaming and their own table-top wargame. Alan was looking for finance to expand the business and secure UK production of their models. I’m currently not fully self-employed and my own boss yet – as I also work a full time job. I spend my evenings and weekends running my business. I began the business a number of years ago, which just started as a little pet project. Then I saw market potential for what I was making. What obstacles have you faced whilst running a business? The biggest problem is always balancing time. Having a full time job has the perks of ensuring that my monthly bills and cost of living is met. It also takes up a lot of my time, especially business hours, so making phone calls and arranging other things can become problematic at times. As the business has been growing, it has needed more of my time. I just look forward to the point that I can go full-time on my business. I love the challenge, taking risks, problem solving and aspiring to improve processes and the image of the company. It’s been a long journey, but it has been worth it without doubt. How did you find out about NBV? I travel to work on the train which runs by the offices of the NBV Enterprise Centre. I just happened to see it one day and Googled what it was. Quite an interesting way to come across it, but very glad I did that search that day. How did the grant help you? What did you buy? The grant was used to purchase a high detailed 3D Printer. This has enabled the company to take back control of a number of processes that were outsourced to other companies outside the UK. Problems had started to develop on getting items printed and in stock on my web store. A number of options were considered and the grant was used to great effect to purchase the printer, this has not only brought the production and stock management back into the company’s hands, but also enables us to provide a printing service to other companies. Aside from the grant, did you find the support at NBV helpful? Gina – the Grant Coordinator – has been wonderful; she has been so helpful in the process. Whilst I haven’t yet been able to attend any of the training courses that are provided by NBV, I certainly am keeping my eye on them and will be attending some in due course. The whole process has been so good that I have passed the details of the NBV to my Dad who runs his own company down in Leicestershire. What difference has the grant made to how your business will operate from now on? This grant has been an enabler. It has enabled us to take back control of our own destiny and our own priorities. It has enabled the company to grow, bringing products to market much faster; no more waiting around for other companies. It has enabled us to offer new and exciting services to other small companies across the UK and it has totally changed the outlook of the business. From having high expenses from outsourcing we now are able to produce in-house for minimal costs.